Comments from some of our valued Sellers…. “Thank you to Madaleine and Rachael for everything! Rachael suggested a realistic price range which was supported by similar properties which had sold in the area recently. She had suggested that the price range could go higher depending on interest in the property, which it did! Could not be happier – it was an exciting time and a stress free sale! “We have had the good fortune of dealing with Rachael Brecht both purchasing and selling our properties. Rachael is an extremely hard worker and great communicator. She and her colleagues at Jurds are amongst the most ethical of real estates we have ever met and we have met lots! “Thank you so much to Michael Grant and the team at Jurds Real Estate for the quick and professional sale of our first home. They have made the process very easy and stress free. 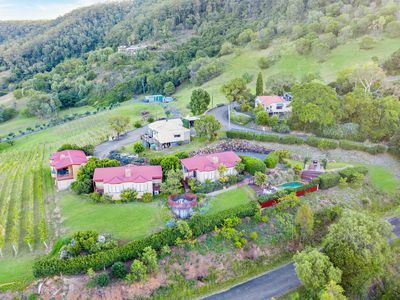 “Cain, Judith and I would like to thank you and the staff of Jurds Real Estate for the smooth transactions of our property, 72 Wine Country Drive, Nulkaba. We were very happy with the purchase of the property back in 2011 and the sale in June 2017 which you were involved in. “Tony Lewis was fantastic, once again. He made the selling process so easy. So professional, prompt and informative – Tony took the stress out of it all. “I would certainly recommend Jurds in the future! Very helpful, professional crew, dedicated to their work! They try their hardest to bring you great results! “Rachael Brecht sold a 17.5 metre pool….with a house…..in Abermain and she made it look easy! Rachael’s commitment to client satisfaction is commendable, and I can imagine our buyers received the same excellent support on their end throughout the sales process as well. The experience, professionalism and support we received is more than what we had expected and we are so grateful for Rachael’s involvement with selling our property. “From our first meeting with Michael, he has been brilliant! He has gone above and beyond to help us and be there for us throughout this whole process. He has made it such a great experience that we won’t forget. Michael is a fantastic asset to the company and I cannot recommend him and Jurds enough. He always kept us up to date with regular contact, even if there wasn’t much news. He even went as far as to locking up our dogs when we couldn’t be there. That in itself is a huge task as they are such rascals! The team at Jurds have made this whole experience of selling our house so easy and stress free. I knew we were in great hands and I cannot fault the service that has been provided. The professionalism shown by each and every staff member goes to show exactly why Jurds are the number 1 real estate in the area. James & Megan Tiedeman – 276 Tuckers Lane, Greta. Marilyn Wells – 69 Ferguson St, Cessnock. Terence Hillman and Marguerite Staniforth – Lot 15 Kelman Estate, Pokolbin. 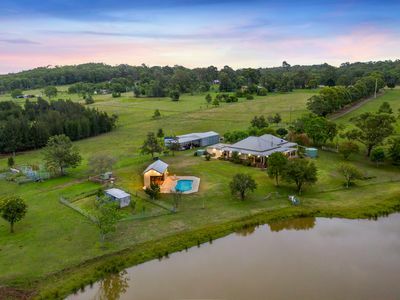 “At the time I decided to sell my 20ha rural landholding located in Pokolbin, Hunter Valley, NSW late in 2011, I was mindful of the difficult global economic conditions and the impact it was having on the Australian Real Estate market. I called for a meeting with Alan Jurd and Shelly Jurd of Jurd’s Real Estate to discuss the range of viable disposal options which might be available to maximise the value of the landholding. Alan and Shelly were able to present a detailed overview of the market conditions including how to best capitalise on the timing of the offer. They provided a typical profile of the likely purchaser enabling the marketing program to have maximum impact. They also provided detailed evidence of sales of comparable properties in the region. This enabled them to deduce and recommend the valuation range for t he landholding. The sale of the property has now been completed. All parties to the sale are delighted with the outcome. The sale was completed within a remarkably short marketing period. I was kept regularly informed of the level and quality of enquiry. Stacey Anderson – 93 Lodge Road, Lovedale.